SEOmonitor is an award-winning tool designed to help SEO agencies overcome the industry’s challenges by developing innovative technologies for specialists to make the most out of the available data and deliver insightful and reliable reports. The tool covers a wide range of features, from unlocking all of the (not-provided) keywords data to non-brand organic traffic forecast, keyword tracking, campaign management and content performance. In 2016, it won the Best Innovation in Software Award at the European Search Awards, as the SEO suite for winning pitches. Since Google released Keyword Planner’s Aggregated Search Volume, SEOmonitor found a reliable solution to extract the individual search volume of the keywords, independent of their close variations, just as Google used to provide them before. Among SEOmonitor’s clients, we can mention: Hubspot, Propecta, DigitasLBI, Forward3D, Resolution Media, Anicca, SEOZEO, PerformicsAKM3, Philips. 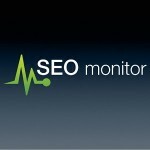 SEO Monitor is offering a 15% off discount coupon for subscription services accessible to all MonetizePros readers. To access the SEO Monitor Coupon, simply enter the coupon code above at the checkout when you have selected the resources that suits you best. SEO Monitor accurately measures SEO traffic by unlocking Google Analytics hidden data. It uses this to analyze visits, conversions, and revenue at the keyword level. Based on this solution, SEO Monitor is able to accurately separate brand and non-brand organic traffic to avoid false results. Automatic keyword research capabilities let SEO Monitor discover thousands of relevant keywords with high levels of SEO potential. These wealths of information allow users to approach SEO in an intelligent and strategic way. This means you spend less resources to achieve higher revenue, identifying low-difficulty SEO keywords with high opportunity value. An accurate segmentation of the non-brand organic traffic. The lack of keyword data in Analytics is making the Organic Traffic reports misleading. The branded searches are another kind of direct traffic and, for most websites, it represents a significant part of the Organic Traffic. SEOmonitor’s approach to solving the not-provided issue consists in putting the traffic data from the landing pages from Analytics into the keyword data from Google Search Console. A methodology fine-tuned over the last 3 years, enhanced this year by Search Console’s keyword data restriction being lifted. Thanks to it, the platform is now able to uncover 90% of the not-provided data, with a high level of accuracy and confidence. The Visibility Score – A single, global metric that gets to the core of SEO performance. SEOmonitor has replaced the misleading ranking-based keyword stacks and the lengthy lists of fluctuating ranks, with one single metric distilled across a bucket of keywords. Besides getting to the core of the SEO performance, it also takes all those attributes (like search volumes, SERP features* & ads) into consideration. It blends rankings and search volumes in a way that makes it more relevant, insightful and easier to understand than any other SEO performance tracking approach. The Visibility Score is a website’s impression share on a list of keywords, calculated as the impressions it would get in search results, given the total number of searches on the (aforementioned) keyword list. Each keyword would generate a number of impressions, based on the average monthly searches, the position on which the website ranks and the SERP features* present in the results page. The total number of impressions divided by the total number of searches is this Visibility Score, a percentage from 0 to 100. And we calculate this metric for desktop and mobile, for keyword groups and landing pages (that also form keyword lists triggering specific landing pages in Google results). In a world where people search for the same intent in thousands of different ways, we can’t just monitor and think “keywords” anymore. We accepted this challenge and developed a revolutionary product: The Topic Explorer. It’s built on a groundbreaking technology that “understands” semantically-connected keywords, independent of their wording. It searches through billions of semantic connections, to create the whole universe of keywords forming a topic. It enables a bird’s-eye view of an “intent” topic or a niche, which can further be explored at a keyword level. To make SEO as predictable and tangible as any other digital marketing channel, SEOmonitor’s team had to fundamentally change the way we look at Organic Traffic. Starting with the non-branded traffic already segmented and detailed at a keyword level, along with their Search Volumes and trends, they created an algorithm able to estimate how the current traffic will look like in time if there will be no Visibility change. On top of that, it calculates how much additional traffic will be generated in time if a specific visibility goal is reached, on a selected growth curve. The entire forecast is processed at a keyword level using the current and desired ranks, CTRs, Search Volumes and trends.